What to keep in mind while your APPS are on cloud? It doesn't matter whether you use small cloud provider like Rackspace or larger one like AWS or Azure, having a plan how to move your workloads between providers is important for your business continuity. Here are a few things you want to think about when you develop such a plan. Do you have all the login information? This one is silly but you will be surprised how may companies don't keep track of who has access to central lock box for such passwords and auditing the access to it has been for long an enterprise practice but startups normally don't have such a rigorous process. When you receive a message from your provider your first question should not be: "Does anyone knows the how to login?" Is your application provider agnostic? What is the business impact of the switch? Is downtime acceptable for the business? How long will the switch (and the downtime) take? Does it require development efforts and how much? Does it require data migration? What will be the impact on the customers? How easy it is for you to obtain your code and data? Assumption is that you own your code and data although it is hosted on the cloud provider's infrastructure. But the problem with the data is that it can be… well, a lot. Getting your data may be one of the problem areas. While your application is running it is most probably collecting some information and storing it either in a cloud database or cloud file system. Over time the amount of data grows and downloading this over Internet may be troublesome. 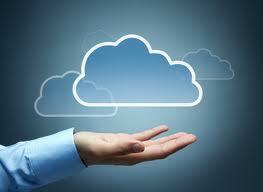 Work with your cloud provider to have a plan to retrieve your data upon request in the easiest way for you. How supportive is your current cloud provider? A good cloud provider will have an established support channel that is constantly monitored by its employees. Having a phone number that you can call 24/7 should be requirement. You should work with your cloud provider throughout the switch process in order to make sure this goes smooth. Last but not least your cloud provider should give you enough notice in advance to enable you smooth migration.